It's been four weeks. Young tern grew up, and parents appear less frequently. 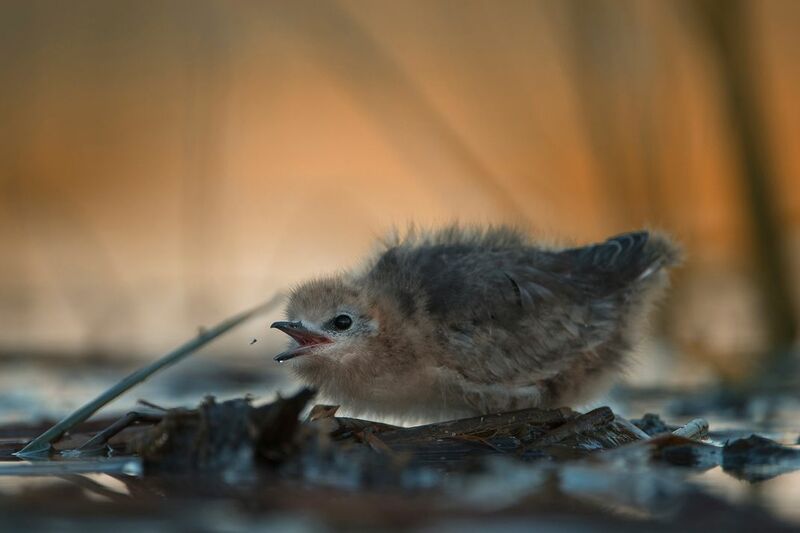 Young tern must start with the same complement your menu. It starts with self-hunting for insects and small invertebrates. Mosquitoes in the morning, in the cold air and a lazy fly seem perfect.